It has become our custom at Happy Acres to make homemade Christmas ornaments each year, and to unveil our ornaments on Christmas morning, before we open our presents. I have been making ornaments since I was a kid, and I still have most of the ornaments I have made over the years. This bell ornament in the photo below features sequins, beads and braid over a foam base. It was made in the 1970’s, when I was still living at home with my parents. The scroll saw dove ornament below is made of maple wood and birch plywood, and dates from the late 1980’s. For 2010, I branched out into unfamiliar media and techniques. Using needle and thread is not my specialty, but I borrowed the necessary items from my wife and managed to get the job done. This mitten ornament is made entirely from materials we had on hand at home. The base is red felt, decorated with ribbons, bells, glitter glue and some metallic garland. 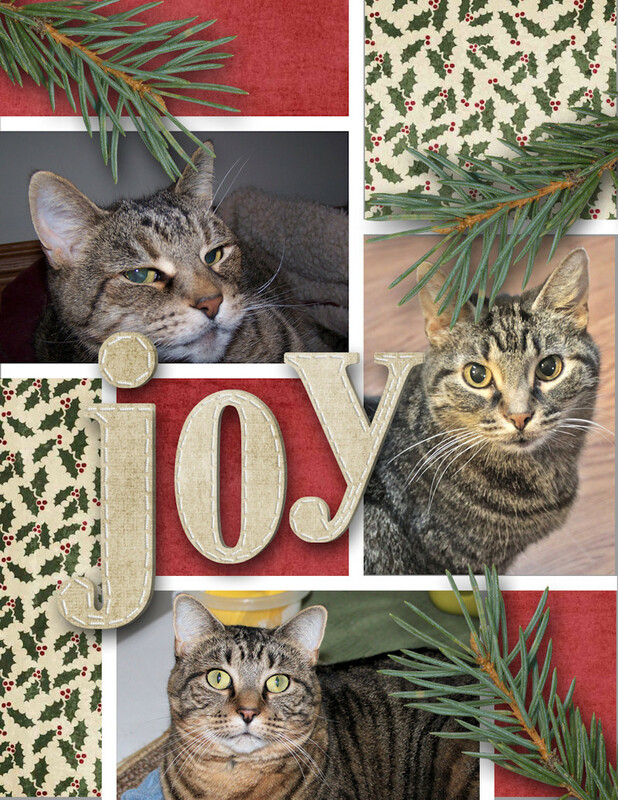 I picked up on the “joy” theme from our homemade Christmas cards. My wife made this Christmas box ornament using acrylic paints and glitter over a chipboard base, with some ribbon for a hanger. Both of our ornaments show it is easy to make personalized, homemade ornaments using inexpensive and readily available materials. If you’ve never tried making ornaments, you might want to give it a whirl for 2011. Who knows, you might even wind up starting your own tradition! This entry was posted in Crafts, Holidays and tagged Crafts, homemade, ornaments, tradition. Bookmark the permalink. I absolutely love this idea. What a wonderful tradition. The ornaments are so cute. Your new ornaments are great! I have made ornaments since I was young also. I have only made them two years since my daughter passed. It was something that we did every year together. The last ornament I made, I think you would really like. I took a plain glass ball and covered it with very small black and white pictures of the family and then decoupaged it. I copied family pictures in black and white mode and then shrunk them on the copier. I was just discussing with my husband yesterday that I want to make this ornament with his daughter of his family next year. Maybe I will post it…or I can e-mail you a picture. That sounds like a really great ornament idea Robin. I do have some of the clear glass ball ornaments, but I never thought about putting photos on it. I’d love to see what you did! Such a lovely tradition, and some beautiful ornaments too. I love the scroll saw dove! They really must make your holiday tree seem so much more personal, and special. I was surprised with some lovely homemade ornaments this year from someone, and honestly, I think they’re the most beautiful ornaments on our tree, because they’re from her. Happy New Year! I have also made ornaments for many years (always at least 1 a year). In their younger years, my boys did the same. The special ones are the favorite ornaments. I read this post on my Reader and chuckled about what a great man you are to rummage through your wife’s sewing stash (and her awesome goodies) to create an ornament. It turned out beautiful! And Lynda’s box is very pretty — paint or covered with paper? I can’t tell but the pattern is lovely.